This quilt was made as a sample for a workshop I taught at Quilt Art in the Rockies in 2007. 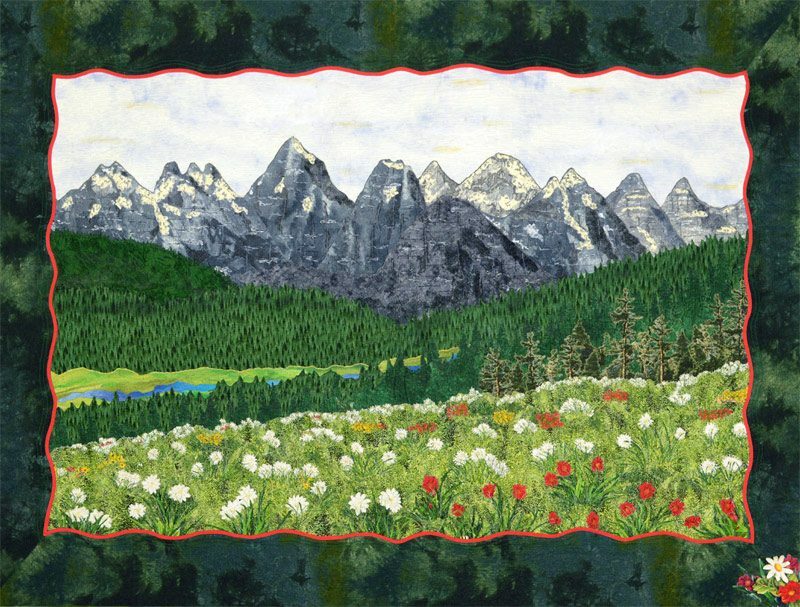 This quilt was inspired by Douglas Leighton’s amazing photography of the Banff, Alberta, Canada area. I incorporated ultra-suede for the glaciers on the mountains and overlays of tulle for shading. Trees in the mid-ground were rubber stamped on fabric and the flowers and trees were enhanced with machine embroidery. I enjoyed making the design “pop” using fusible red bias tape for the inner border.